I don't think I fully understand this...! You have to add favorites, it's how I mange the good tweets! 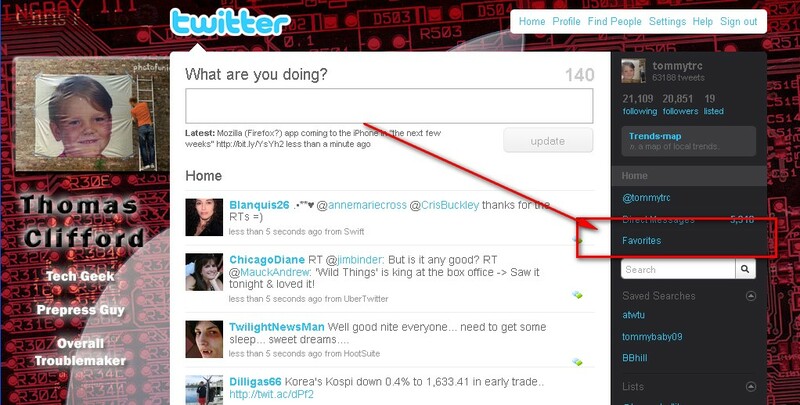 Simply add "favorites" as a Twitter Stream in TM's interface ? @Pierre-Julien Grizel -- You GENIUS! Now why didn't I think of that. So simple. There is now a "favourites" twitter stream. It displays favourites added on Twitter. It is live. One question: do you plan on adding the ability to "favorite" a tweet from within TM? @justin thanks, that's a great idea! @gregbd I'd also be very happy to see that! @justin thanks, that's a great idea! @gregbd I'd also be very happy to see that!